Casuarina Square is owned and managed by The GPT Group, one of the largest owners, managers and developers of retail assets in Australia. Home to over 200 stores, Casuarina Square is the number one shopping, dining and entertainment destination in the Northern Territory. Casuarina includes two discount department stores, two supermarkets, a variety of specialty stores and an entertainment leisure precinct with a cinema offer. The GPT group approached us with a project to maximise the availability of their parking, accommodate more customers and deliver a premium shopping experience for Darwin. The car parking facilities comprise over 2,450 bays with more than 1,500 under cover bays, however the prime parking bays were taken by staff, local workers and commuters on a daily basis. This heavily impacted the availability and turnover of parking bays, resulting in an often poor customer experience. This would increase particularly in peak periods where customers could circle the facility looking for available parking bays causing congestion and frustration. Nearby accommodation buildings, clubs, offices and a bus interchange were also a contributing factor to a significant overstay challenge with a large percentage of bays not available to the shopping public. Another challenge was the existence of restricted heights in the undercover parking areas. 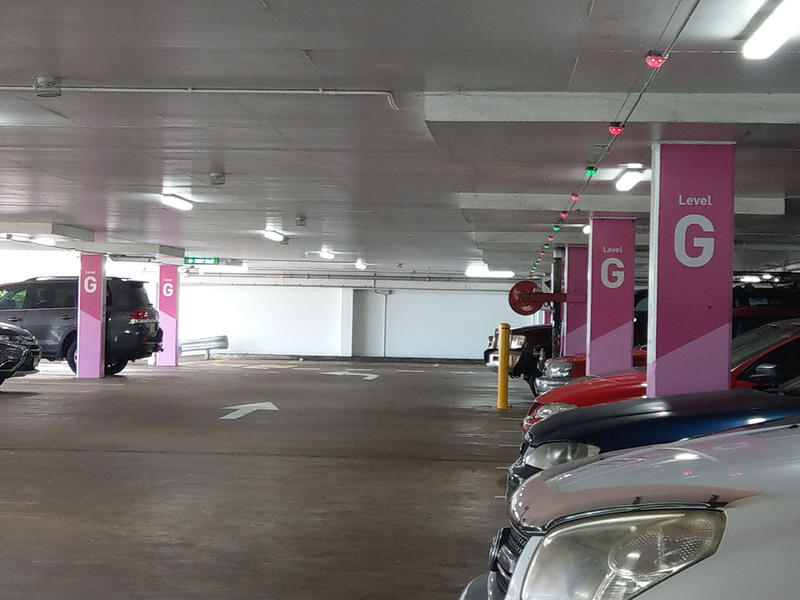 The GPT Group’s chosen solution was the installation of Park Agility’s Parking Guidance Solution (PGS) with streamlined infrastructure and in particular, minimal height dynamic signage capabilities. 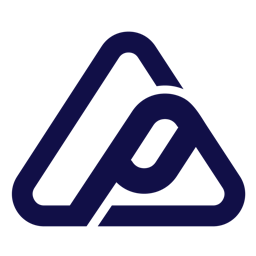 This also allowed GPT to successfully implement timed parking across key areas to maximise efficiency and availability of parking spaces as well as signage indicating location and number of available parking spaces in each car park. Improve traffic flow and the introduction of over 150 wayfinding signs. Thanks to our highly efficient installation method plus highly competent team, Park Agility was able to complete the project inside 11 weeks; commissioning the system in November 2018. 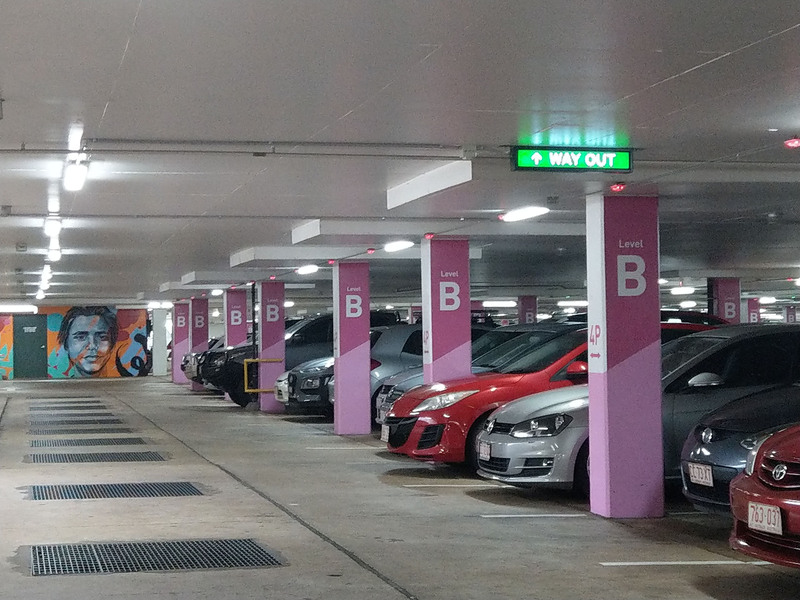 Since installation, Casuarina Square has received considerable positive feedback with parking customers now able to find an available car parking bay within minutes of entering the facility. Traffic flow has been vastly optimised saving time, fuel and reducing congestion.